Fans who’ve been polishing their Jaeger waiting for the sequel to Guillermo del Toro’s 2013 film, Pacific Rim, may want to slow down. It seems the sequel, which was set for a 2017 release date, has been “halted indefinitely” and may not get made at all. The project — which had been ramping up to make a release date in August 2017 — has been halted indefinitely and will be pushed back (if it gets made at all). The reason? What else? Money. The first film grossed $411 million worldwide, with less than a quarter of that coming from the United States. That sounds like a hit, but with a budget reportedly close to $200 million, it’s borderline. However, the movie’s success in China had Legendary Pictures excited for a sequel but with that company stretched between an old deal they had with Warner Bros. and a new one at Universal, there are a ton of issues. The Hollywood Reporter piece gets into more specifics. 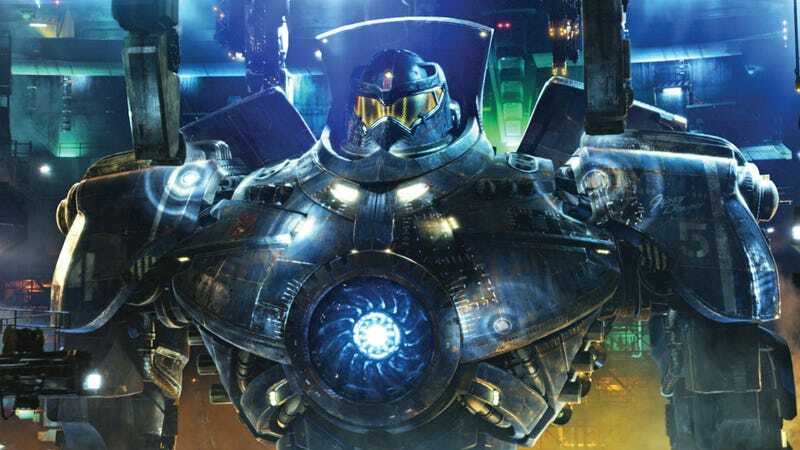 I think most fans, once they saw the returns on Pacific Rim, probably didn’t think they’d ever see a sequel, so it was a pleasant surprise when Warner Bros. announced one last Summer. Guillermo del Toro was in pre-production on the film but it’s likely that’ll stop now. Del Toro’s latest movie, Crimson Peak, opens in about a month so odds are he’ll offer up some updates then. For now though, cross your fingers and toes for the project to get back into the Drift.